So you want to sing! That’s great news because singing is a tremendously fun and rewarding thing to learn. And contrary to what a lot of singing teachers will tell you, you don’t have to spend years and tireless hours practising scales to learn how to sing well. 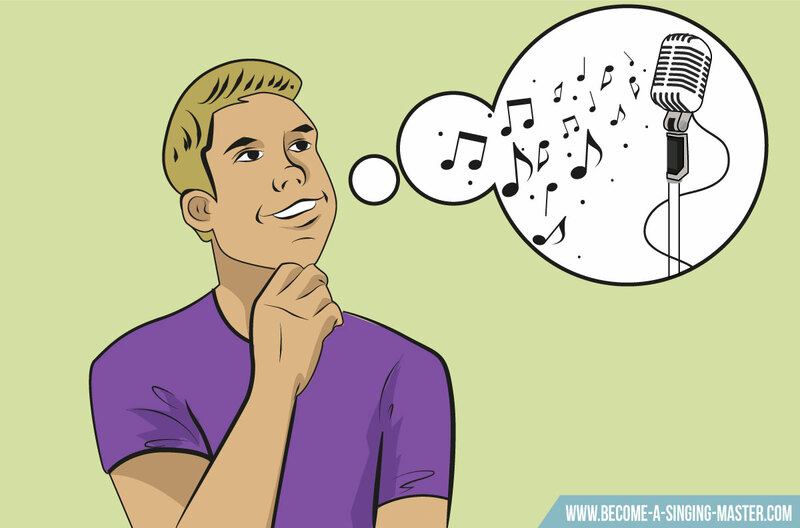 In fact, there are many small things you can do to begin improving your voice right away! Here are 18 steps that you can follow that will take you from complete beginner to the point where you are impressing yourself and the audience. These tips, ideas, and exercise routines will help you sound better, develop better hearing, have more control over your voice, and build more confidence in yourself. Let’s start at the start. This video gives you a great beginning foundation. A basic understanding of how you create your sound is a great starting point to singing. Inside your neck you have a voice box that has your vocal chords. When you sing, you are pushing air through your voice box which allows these vocal chords to move back and forth. 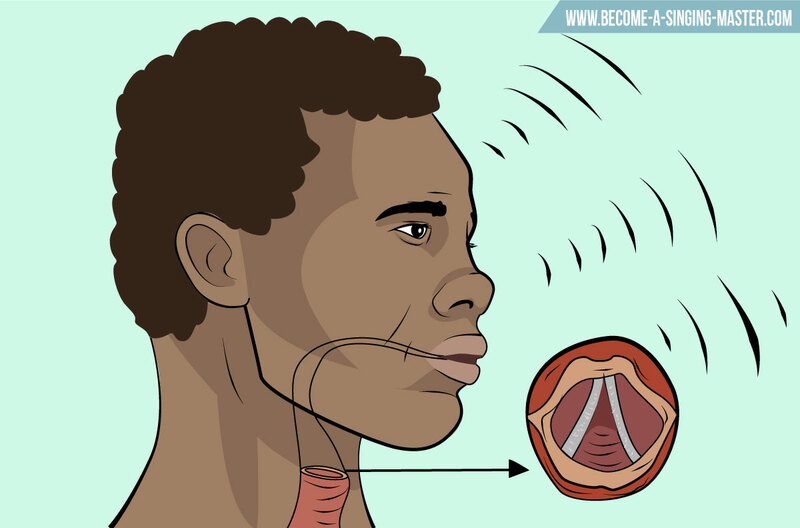 This “vibrating” from your vocal chords causes sound waves to move upwards. The sound then gets amplified as it moves up through your head. When you’re first learning to sing one of the best things you can do to get your technique off on the right foot is to keep your voice box stable. The funny thing is, just about the biggest mistake that singer make - from beginners to seasoned pro’s - is they move their voice box around as they sing. By keeping it stable, you will have more control over your voice and you won’t be blocking off your sound (which is what happens when it starts to move around). 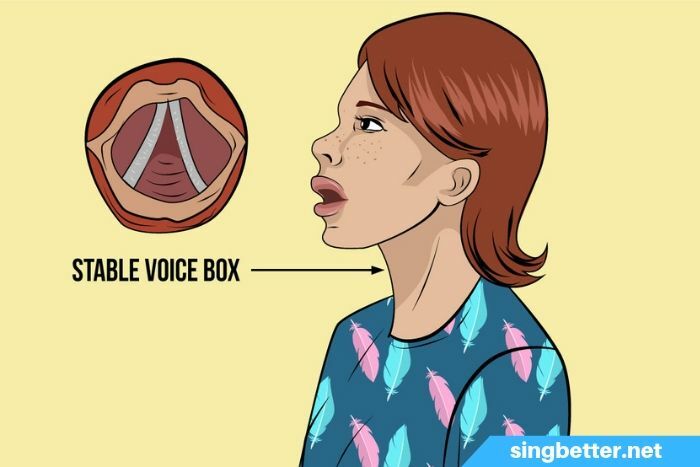 One of the easiest ways to tell if your voice box (or larynx) is moving around when you sing is if you are feeling strain. If you feel like you’re having to “push” your voice to get a note, it probably means your voice box is moving out of place. When this happens, the best thing to do is back off. Sing in an easier range in your voice. When you are first developing your voice, it’s important to do exercises that feel comfortable. And exercises that don’t cause you to develop bad technique. Humming is a very good exercise to start your singing journey. By taking a song that you like and humming over the melody, you will begin to experience using your voice. You can also take scales to practice your humming. Scales are a series of notes that musicians use to practice their technique. 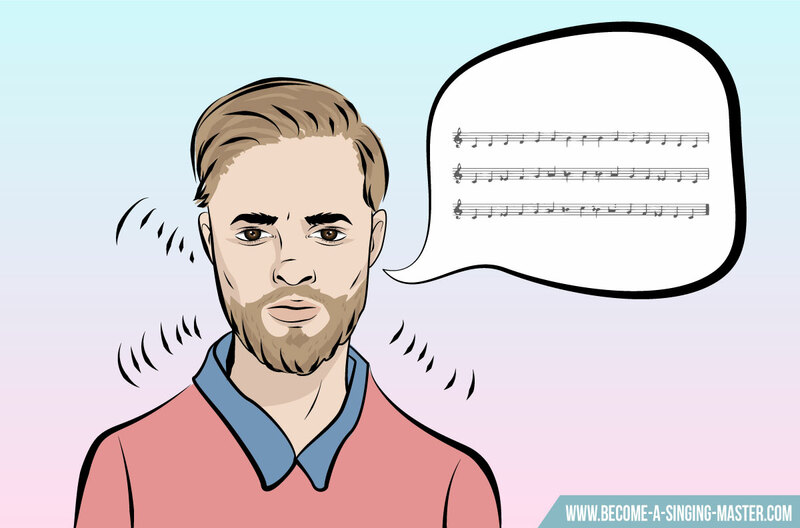 Humming on easy scales will help you begin to get familiar with different parts of your voice. This will then lead on very naturally to doing more difficult exercises. Here is a scales you can practice humming on. Another thing that will be very valuable to you in the beginning is to develop your internal hearing. This means that you can hear the notes that you want to hit. And also, that you can recognise when you are singing in tune, or out of tune. If you feel like you are tone deaf, don’t worry! I’ve proven over and over again with private clients that with practice, anyone can begin to hear the notes! One client in particular appeared to be the most tone deaf person I’d ever met! Yet he was desperate to perform for his girlfriend as a special anniversary present. So for hours I would play notes on the piano and then he would try to match them with his voice. Slowly but surely he began to hear each note. It took some time, but in the end he was able to hear every note very clearly. This experience showed me that being tone deaf is something that can be overcome. So if you can’t hear the notes very well, there are a few things you can do to fix it. If you have access to a piano, start playing keys one by one and then see if you can match the pitch with your voice. Take a song that you know very well and listen very carefully to the notes. See if you can sing parts of it in tune. When you are listening to the notes, try to hear them at the middle point in your forehead. I have found that for singers, this is a great place to focus on your sound. 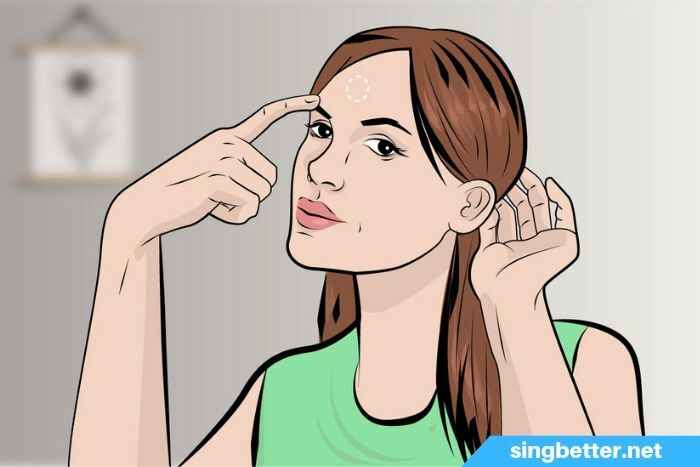 As you sing, this is where a good amount of your sound passes through, so concentrating your hearing on this position is a very effective tactic. Developing your internal hearing, like any other skill, can be developed with practice. Use the ideas I’ve just discussed and before you know it, you’ll be able to hear the notes perfectly! Your Vocal Registers are the different parts of your voice. 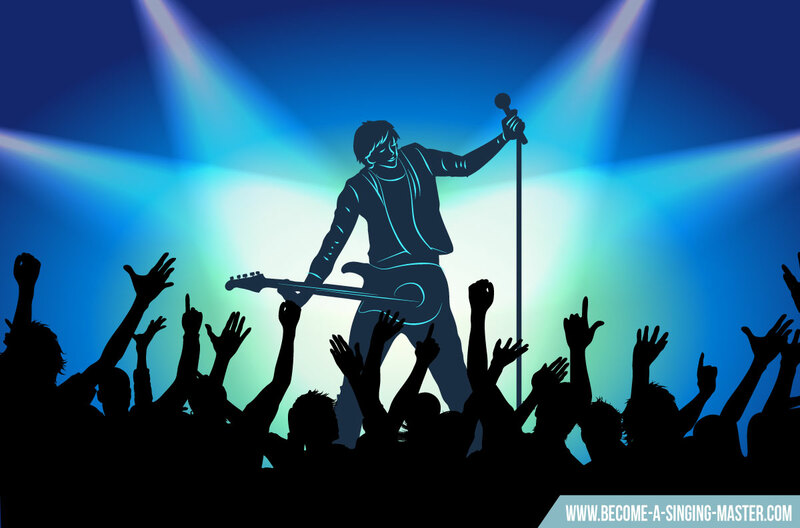 Head Voice - The top part of your vocal range. In other words, your high notes. Your head voice is usually a sweeter, “hooty” type quality. Chest Voice - This is the lowest part of your range. It’s the voice you speak in. It has a thicker, more powerful tonality to it. Mixed Voice - This is in the middle part of your vocal range. It’s where you’ll sing most of the time. It’s called mixed voice because you’re blending your chest voice and head voice together. I like to put a large focus on blending all of these parts of your voice together as you move up and down throughout your range. 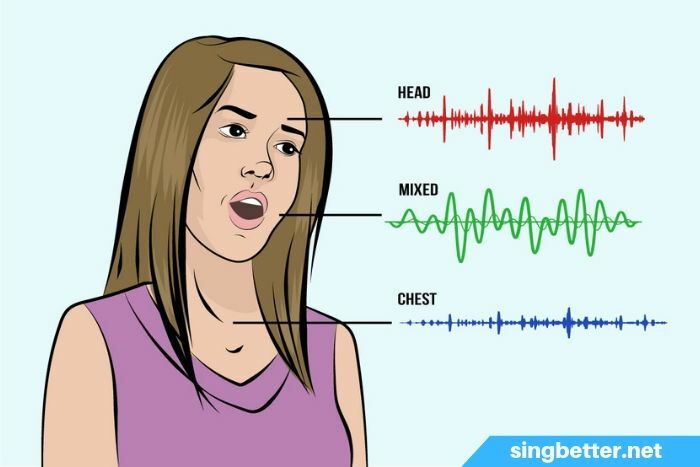 So even if you are at the very top of your range, or the very bottom, you are still blending between chest voice and head voice. This is a more advanced concept, but the exercises we will go through soon will help you to understand and develop this further. 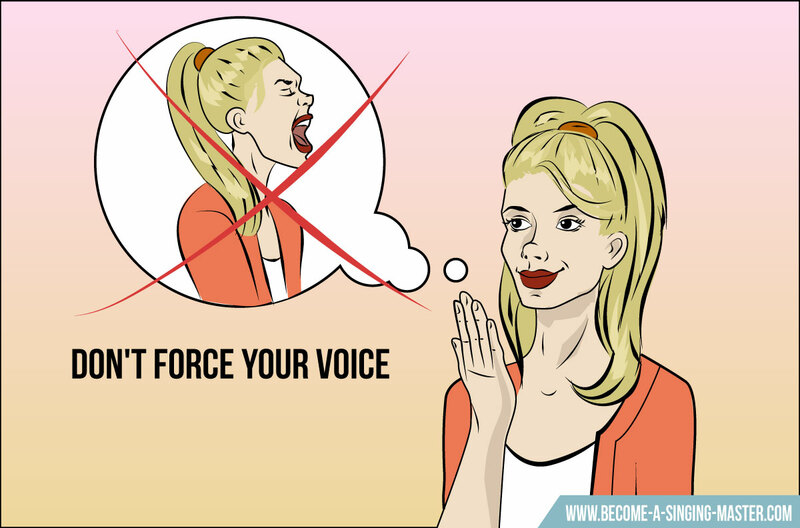 When you are developing your singing voice you want to avoid developing bad techniques. Bad techniques will make your voice sound unprofessional. And they are going to limit your vocal range as well as give you a sore throat! 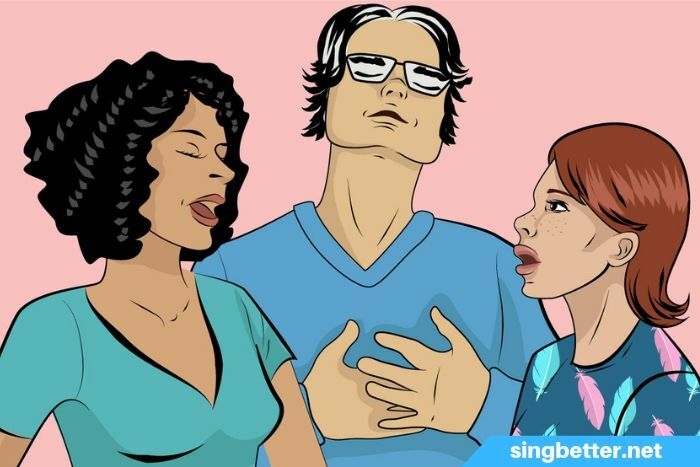 The good news is, it’s usually easy to tell if you’re singing with bad technique. Well, it will either feel uncomfortable… or it will sound bad! So if either of these things happen the thing to do is stop doing what you are doing! Instead, go back to something that feels comfortable. It’s much better to practice things that are easier to sing. This way, you are developing solid vocal technique that will help you begin to sing things that are harder later on. If you can’t currently sing something comfortably, it doesn’t mean you won’t be able to in the future. Keep practicing in areas of your voice that are comfortable and over time your abilities will gradually expand. But be careful to not push your voice to where it’s not comfortable. A great goal to aim for is to be able to sing with as much freedom as possible. When you have freedom in your voice you’ll be able to sing more songs, more easily. So how do you get more freedom? Well, the answer is to remove everything that is blocking your voice! The thing that I’ve personally found to cause blockages more than anything else is the swallowing muscles. Your swallowing muscles are very good at helping you eat food! But when it comes to singing they can really cause problems. 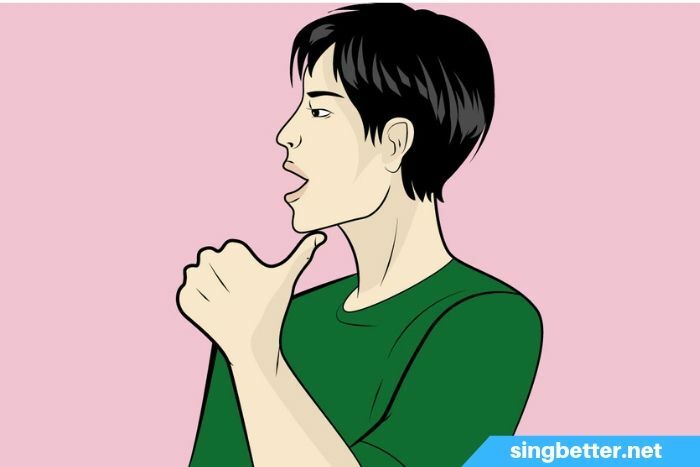 To know if your swallowing muscles are interfering with your voice, you can put your thumb under your jaw while you sing. Now, when you are singing a song you’ll be able to feel if these muscles tighten up. If they do (and there’s a very good chance as it happens even with the most seasoned pro’s!) this means you are losing freedom in your voice. 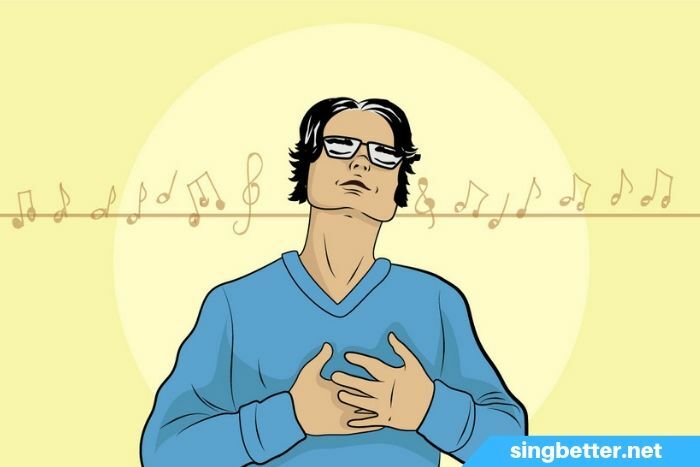 You can gain freedom by learning to relax these muscles as you sing. By checking in once in a while (by placing your thumb under your jaw) you will become aware of when you are tightening up these muscles. Over time, this awareness will lead you to relaxing these muscles and singing with much more freedom. Placement is very important when you sing. What “placement” means is where you are projecting or “placing” your sound. Your placement will have a big impact on the quality of tone that you produce. It will also have an impact on how much freedom you have when you sing. To place your sound for the most freedom and tone quality, it’s best to sing into your mask. Your mask is the front of your face. Ideally if you try to focus your sound so it’s resonating above your cheeks in the front of your face. Once again, a good technique you can use is to try to focus your sound into a point in the middle of your forehead. This will help you keep your placement in check. The main thing about being a singer and and artist is being original. Authentic. When this happens I always think, "why would you want to do that"? The reason I think this is because we already have this other singer! Who we don't have is YOU! I know this goes on a lot because of all these singers who ask me... and also because when I was young I did this myself! I would try to copy and imitate the singers that I loved and admired, trying to sound like them. And because of that I also started to form some very bad habits. There's something I want to tell you now that I firmly believe, and I've proven it again and again over the years. Everybody has a great voice! The only reason you don't right now is because there's something that you are doing physically that's blocking it from coming out. I tell my clients all the time, when you come in I'm not teaching you how to sing. What I'm doing is getting everything out the way that has been blocking you from singing great. When you start to find out what your voice is, it's going to sound great and beautiful. And it's not going to sound like anybody else. This is why you can recognise different voices from your family and friends. Everybody has a different voice. It's your job to discover and work on yours. Now, let's go over some very important things that will help you that have nothing to do with technique. This video goes over 4 very important tips that will help you go from where you are to where you want your voice to be. One of the most important things you can do to become a great singer is to have a positive mindset. Singing is one of those things where most people assume that if they can’t sing naturally, there’s no way they’ll ever be any good. "I don’t have the ability to sing now, so I’ll never be able to”. “I’ve hit the wall of my ability and I can’t get any better”. After coaching thousands of singers I can tell you that this type of thinking is completely false. My experience has been that there is overwhelming evidence suggesting that anybody can sing! And no matter where your voice is right now, it can get better. I’ve found with even the biggest star singers, there’s almost more. More improvement. More freedom. Better tone. So if you are at the beginning of your journey, or you feel like you’ve hit a wall in your development, here’s an idea I’d like you to think about. Try to suspend your disbelief. In other words, push away that little voice that says, “you can’t do it”. And instead, realise that you can become a very good singer as long as you’re willing to work at it. Don’t base your idea of your potential on what you're currently hearing. Understand that you have a great amount of potential that’s currently untapped. And remember that singing is a physical process. And that if you learn how to produce sound correctly, you will sound great! I’m sure there’s been something you’ve done in the past where it was slow going in the beginning, but you stuck at it. And over time you developed and became quite good! If you can think of something like this, draw on it now for inspiration. The biggest thing that will affect how quickly your voice develops is how regularly you practice. It’s very obvious but it’s 100% true! The saying “practice makes perfect” couldn’t be more true when it comes to singing. Because what you’re developing is muscle memory. And the way you develop muscle memory is by repeating things over and over again. So one of the best things you can do is decide on a practice schedule. This means sitting down and figuring out when and where you are going to practice. 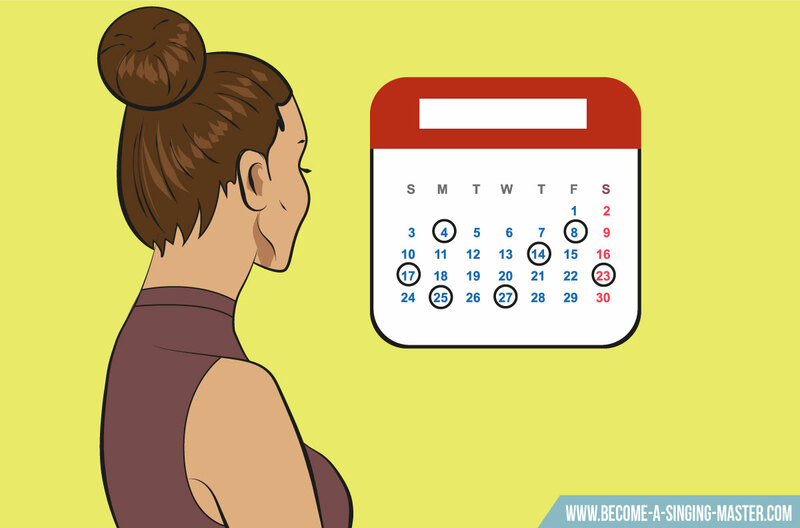 It’s a good idea to start with a nice easy schedule that you know you’ll be able to stick to. If you try to bite off more than you can chew by trying to practice hours a day, you’ll very likely burn out and give up. But if you decide on a schedule that won’t be too difficult to keep up, it will be easier to stick to. And then as this schedule becomes a habit… and you begin to feel excited about your development, you may decide to increase your practice time. A good starting point is to do a 20 minute practice session 2 days a week. A good plan that’s executed is far better than a perfect plan that never happens. So choose a schedule! It doesn’t need to be perfect. Go with what you feel and then adjust from there. Another very important thing for becoming a singer is to develop persistence. The thing about learning something new is it’s not always easy. It might feel confronting at first. It might be uncomfortable. There might be other things that you would rather be doing. You may not always feel in the mood to keep going and practicing. My advice is to stick with it! Learning to sing is a very enjoyable and rewarding pastime. And if you have chosen a practice schedule like we talked about earlier, you will definitely improve! And as you improve you will have more fun, and begin to get excited about the possibility of doing all the great things singers get to do… Like performing… singing in groups/choirs… recording… joining bands… singing at church and other community events. It is totally worth it, so persistence until things get easier is very important. The thing that will help you persist the most is to develop a regular practice schedule. If you keep this up long enough it will become a habit and there will be much less resistance when it comes time to practice. It can take time to sing well. But consistency gets great results, so stick with it and you’ll be rewarded for your efforts. Learning to sing is an ongoing development. 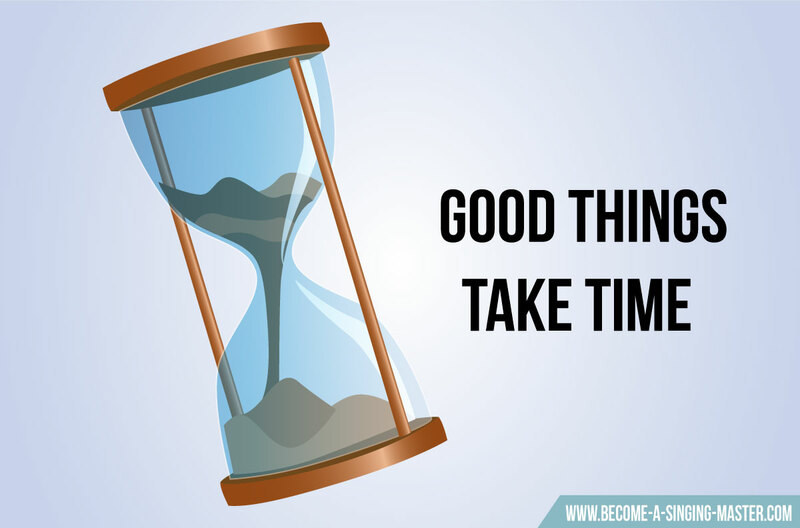 Like anything worthwhile, it can take some time before you start hearing results you like. So it’s important to be patient. I’ve known a great many singers who started to make good progress, but then given up because they didn’t think they were improving fast enough. 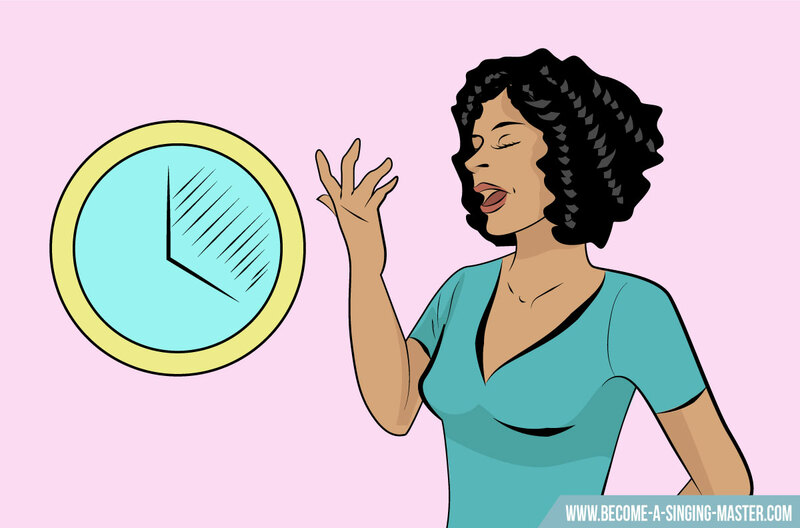 If you’re feeling like you want to give up or you’re frustrated that your voice doesn’t sound how you want it to, here’s what to do. First, take a deep breath… Relax! And start thinking about that great singer that you want to be. Think about what it will allow you to do. The exciting performances you’ll be able to give. The audiences you will be able to entertain. If this thought still excites you, it’s important to keep going! Be ok with where you are, and know that as long as you keep practicing you will get better. And try to have fun with your singing, not matter what point you are at! One way of doing this is to use songs that you enjoy when you are practicing. This means that your singing practice is really just an excuse to listen to your favourite music! If you’re not getting the results you want, find someone who can help you. This might mean using websites like this one to find singing lessons. There are many great online videos and courses available where you can learn a great deal. And if you try this and don’t find yourself improving, or keep hitting the same challenges, it might be time to find something more individual. This means finding a vocal coach who understand what you are doing as well as how to correct any mistakes or bad habits. You see, everyone has a slightly different voice. Males tend to have heavier voices that go lower, and females tend to have lighter voices that go higher. But there are many exceptions to this too. 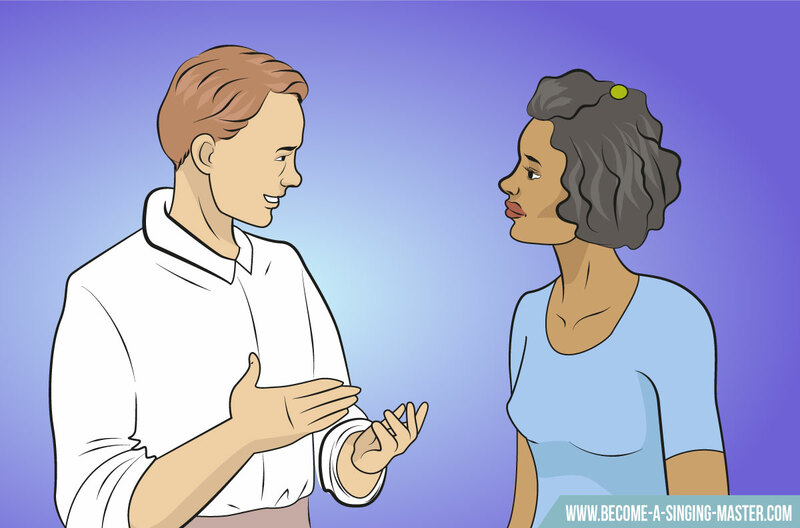 The thing to remember is that your voice is a little different to everyone else, so if you keep having problems you may need someone to hear you and give you specific feedback. 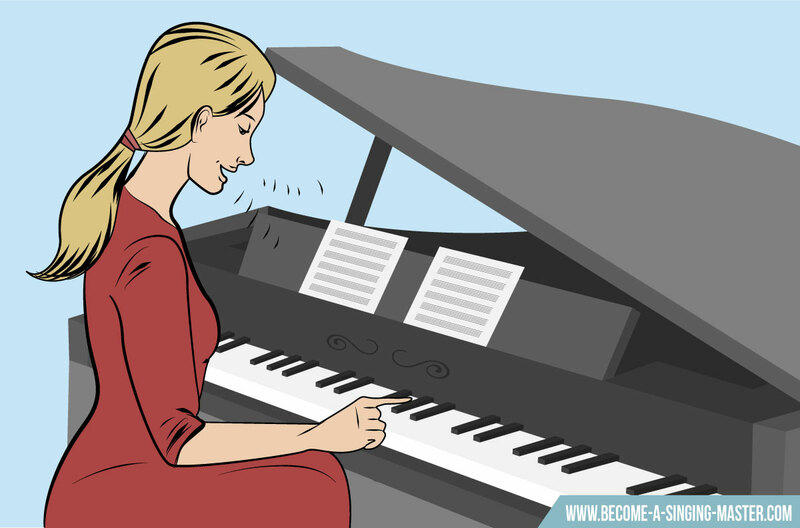 Let's now look at some exercises that will help you develop your voice. 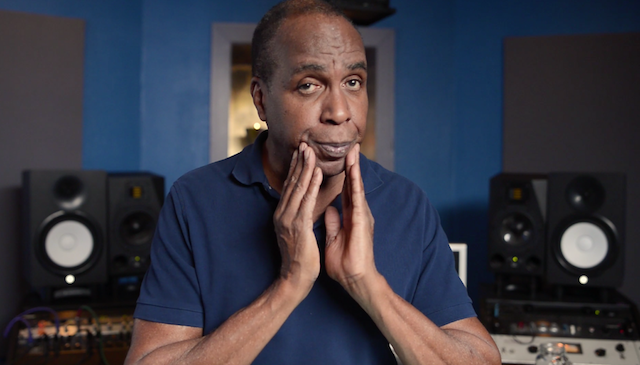 In this video below I show you 3 of the most effective I've found in my time as a vocal coach. 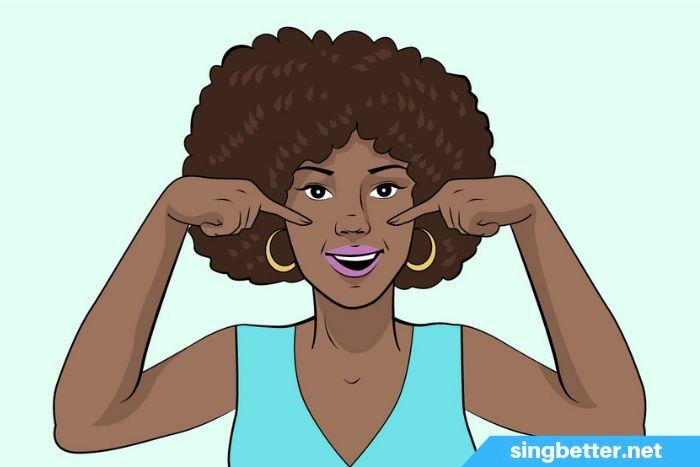 The Lip Trill is an excellent singing exercise for singers of all levels, from beginner to superstar. It warms up your voice. It also helps balance your voice. And it improves your technique. This is why just about every lesson I coach, the lip trill will be in there somewhere. Placing your hands on your cheeks can help you do the Lip Trill. Once you are able to do it, you can practice it using scales. Or you can take a song that you’re practicing and do the Lip Trill over the melody. Doing 5-10 minutes of this each practice session will make a big difference in your singing! You’ll find that as you get better at this exercise you’ll be able to do it without needing the support of your hands holding your cheeks. Here is a scale that is a good one for practicing the Lip Trill. Remember to only go as low and high as what is comfortable. 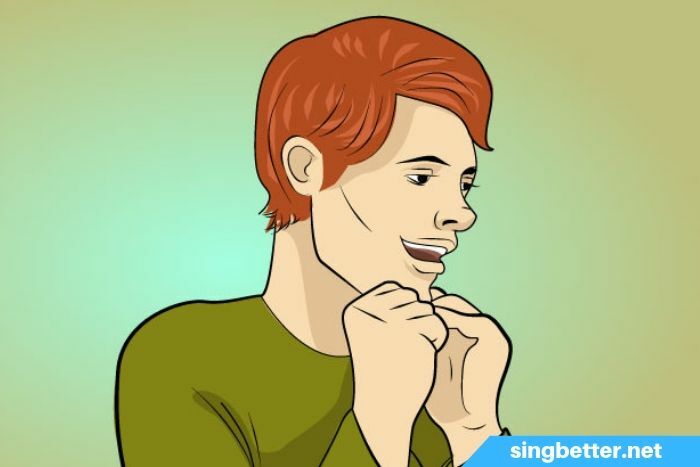 Another exercise that’s fantastic for developing your voice is singing Nay, Nay, Nay. 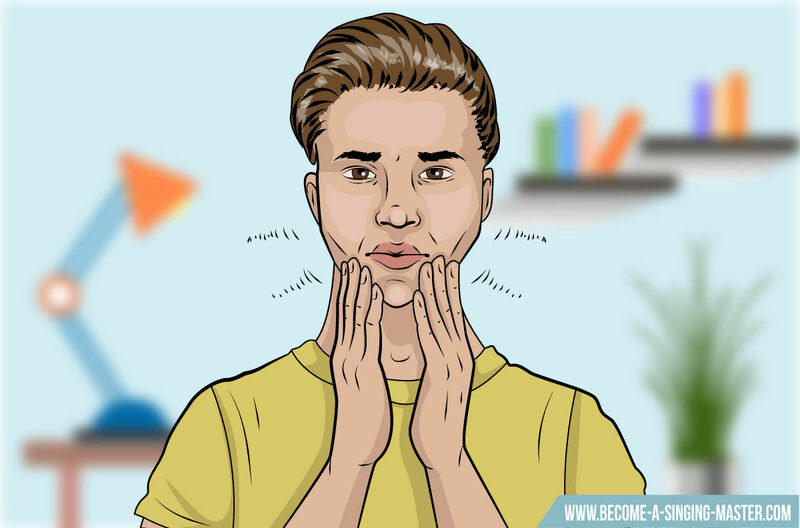 The key to making this exercise help your voice is to place your thumb under your jaw and pay attention to if your swallowing muscles are tightening up. Also, aim to keep your sound above your cheeks as you sing. You can make a funny smiley face that will help you keep your sound above your cheeks and out of your throat. When you are doing the exercise right, you shouldn’t have to strain or push for any of your notes. If you find yourself pushing, stop going for that particular note and come back into a range that’s easier for you. The Nay sound is quite ugly, but if you do it for a few minutes and then switch back to singing normally, you’ll notice a big improvement! The reason this is such an effective exercise is the nasal sound of the word “Nay” helps you to practice placing your sound into your mask. It gets your sound resonating in the right place, and it also gets your swallowing muscles to relax and stop blocking all of your voice from coming through. So practice it on simple scales, or replace the words of a song with “Nay, Nay, Nay”. Do this for 5-10 minutes and then go back to singing your song normally. The results can be quite amazing! Your voice will sound more present. And your tone will have more clarity. Plus, with your swallowing muscles more relaxed singing will feel much easier. Here is a good scale to use to practice the Nay Nay Nay exercise. This next tip is counter intuitive, but boy does it work! The big idea is to “think backwards” as you sing. This means that if you are singing a high note, you think that you’re singing down into the note. And if you are hitting a low note, think that you are singing up into the note. 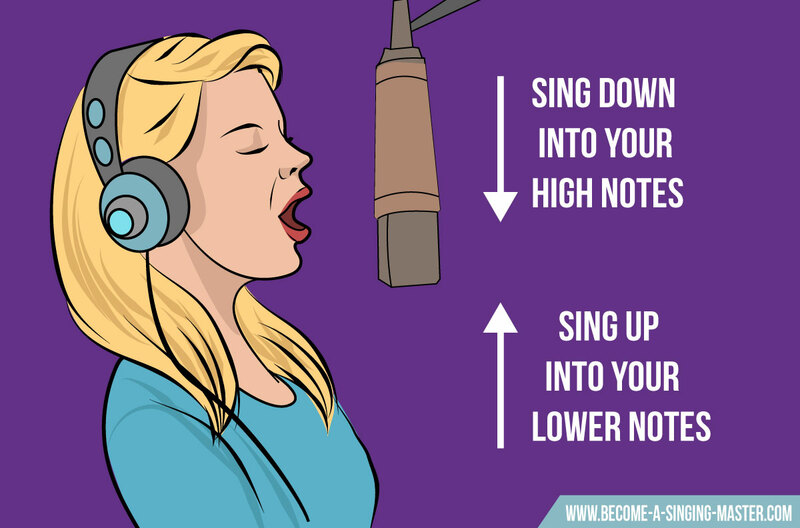 It’s a little tricky at first because you might be used to trying to sing up to your high notes and sing down into your low notes. What this new way of thinking does is it keeps your voice box nice and relaxed and stable. You might remember at the beginning of this tutorial we talked about how one of the fundamental pillars of singing is a stable voice box. This “backwards thinking” will help you with this more than just about anything else. The reason is because when you’re thinking that you’re singing down into your high notes, it keeps you from reaching up to it. And when you are thinking that you’re singing up into your lower notes, it keeps you from your sound falling back into your throat. This idea takes a little practice, but after a while it becomes very natural. And when it does you will find singing much easier. Part of singing is performing. And performing brings up all kinds of nerves, fears, and insecurities. The best thing you can do is realise that all of these things are just energy. It comes with the territory of performing and you’ll probably never do a performance without getting nervous. So embrace it and realise this energy will actually help your performance. When you do this you’ll find these nerves can easily transform into excitement. Here’s a big secret. The audience really aren’t that fussed about you hitting every note perfectly! They would much rather be told a story. Given an experience. And the way you can give this to them is to commit to your performance. 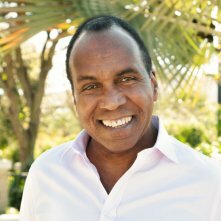 Become less concerned with being technically perfect and more concerned with communicating. What are the songs you are singing about? Look at every lyric and figure out what emotion/feeling/story you are communicating. And then deliver that to the audience. And if you don’t feel confident, pretend that you are! As you work into your performance you’ll hit a point where you'll relax a bit and the confidence will come. In the end singing is all about having fun. So make sure to enjoy yourself! Of course, learning something new and getting good takes time and effort. But you can do little things that will keep things enjoyable. For example, you can use songs that you enjoy singing to practice to. You can schedule in small performances now and then to have something to look forward to. Set goals that excite you and reward yourself when you tick them off. 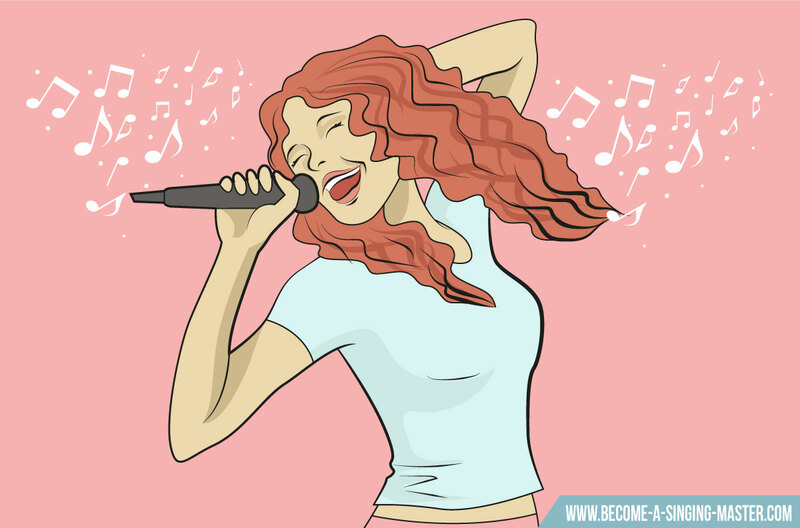 I hope some of these tips will help you understand how to sing better as learning to sing is well worth the effort. Leave me a comment below and let me know which tip resonates with you the most!